Rich soil, well-drained but with plenty of organic matter to retain moisture. Sweetcorn, Lovage, Marjoram, Parsley, Pumpkin, Squash and Sunflower. Sow direct into ground from spring after the risk of frost has passed. Strong supports needed for climbing varieties. Supply plenty of water to the roots from flowering through to harvest. Pick pods young before they get stringy. 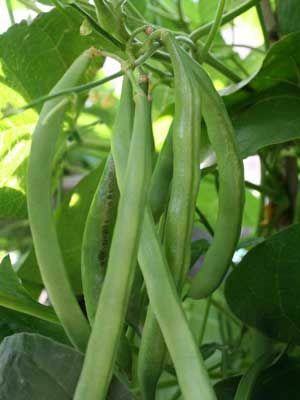 Scarlet runner beans prefer cooler temperatures than regular beans, high temperatures can result in low pod set.